The seasoning process is the black magic of Flat Top ownership. If you've ever owned cast iron cookware, you're probably already familiar with the term. For the uninitiated, "seasoning" refers to a natural chemical reaction where oil and fat are heated to the point where they literally bake into the steel through a process called polymerization. This transforms the raw silver steel into a gorgeous black finish with amazing non-stick properties without the use of dangerous coatings like Teflon. 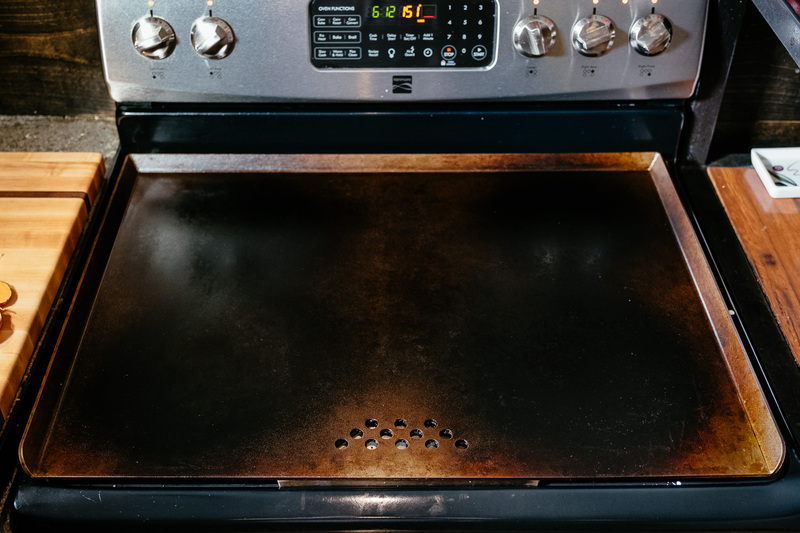 Follow the setup instructions to clean your Flat Top after receiving it. Apply the first coat of oil and heat it to 300 degrees for 15 minutes. Let it cool completely and apply another thin coat of oil. Greasy food makes the best first meal on your Flat Top. Bacon is our go-to food for this. Cook 1-2 pounds across the entire Flat Top, making sure to coat the entire surface in grease. 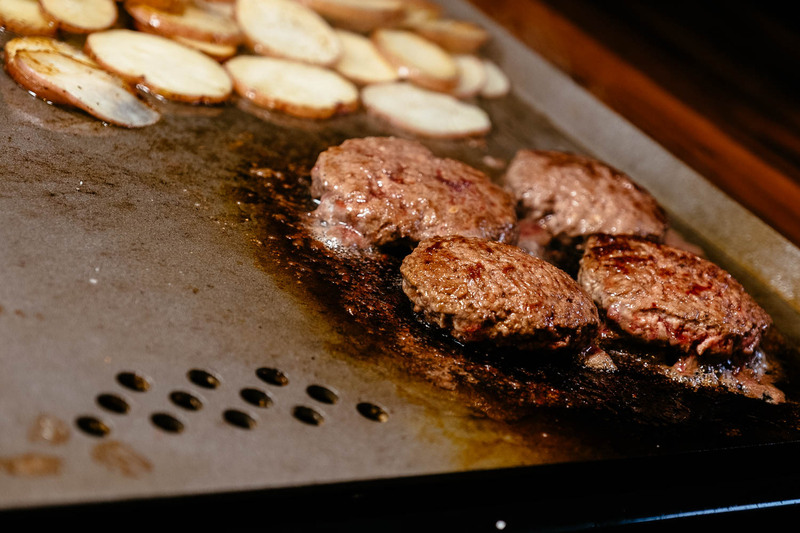 After a few meals on your Flat Top you'll see the entire surface transform into a cast iron-like appearance. The low-maintenance finish has amazing non-stick properties that cleans easily. Everyone has a different preference or opinion on what kind of oil works best for seasoning steel and cast iron. 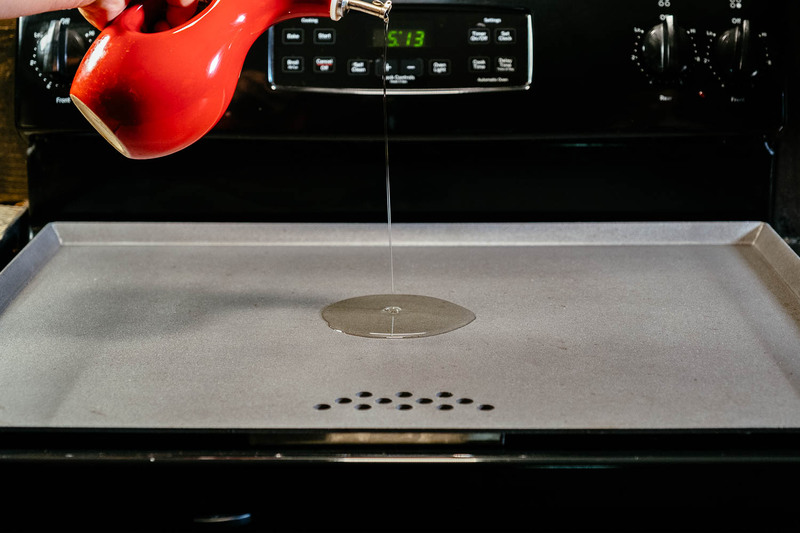 We've spent years researching and testing them all and we've decided that for our money nothing beats polymerized linseed oil for our Flat Top. We have a special FDA Approved Food Safe version that we have available here. 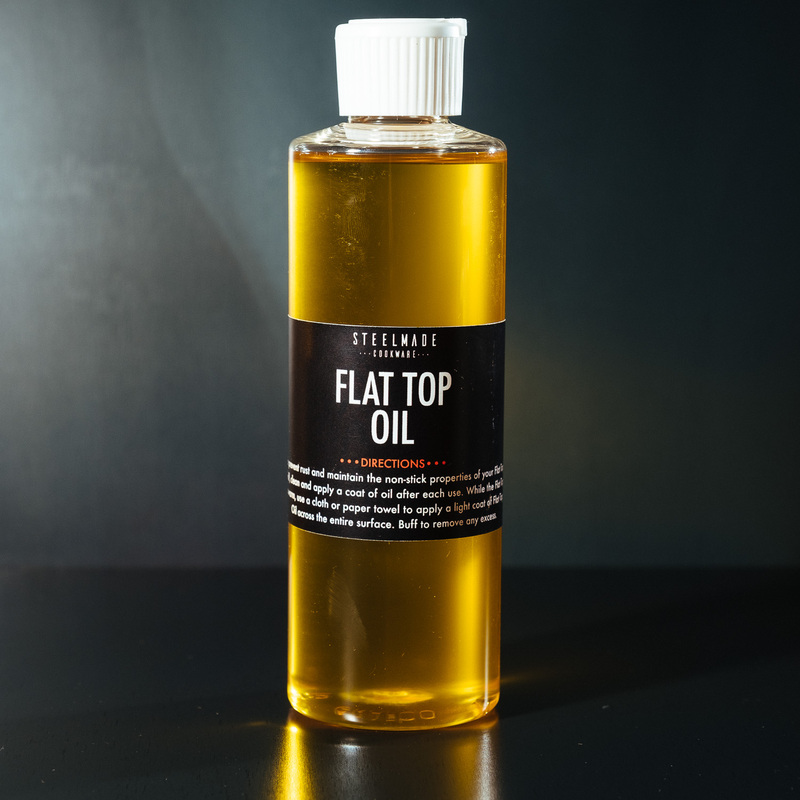 We prefer to cook in olive oil - again everyone has a preference - but we always add a layer of Flat Top Oil to finish it off at the end of the cleaning process.